In the early-18th century, absolute monarchies set about the task of reviewing fiscal systems in order to cover the expenses of war. In the early-18th century, absolute monarchies set about the task of reviewing fiscal systems in order to cover the expenses of war. Their aim was to increase taxes without harming economic development. However, in the case of the Kingdom of Castile, with its chaotic finances and huge deficits, this was impossible. The advisors of King Philip V, on the throne since 1700, were opposed to increasing fiscal pressure on Castilian taxpayers. The Crown of Aragon –that is, the confederation of realms formed by the Kingdom of Aragon, the Kingdom of Valencia and the Principality of Catalonia– also expressed their disapproval of such a measure. Catalonia had its own fiscal system, under which taxes were collected and administered by the country’s own government, known as the “Diputación del General” or “Generalitat”, and not by the king, as was the case in Castile. This state of affairs gave the Catalan people freedom to decide whether or not to contribute financially to the Spanish monarchy’s foreign policy. In truth, the Catalans were little enamoured of imperial policies, and often refused to pay. After the end of the War of the Spanish Succession, Philip V’s ministers’ intention was that Catalonia, which had fought alongside Archduke Charles and the Anglo-Dutch alliance, should pay for the army that occupied the country. To this end, a new fiscal measure was introduced. Known as the ‘catastro’, or cadastre this poll tax was levied on property and people. Although, it was explained that the new levy was aimed at achieving greater social justice in fiscal matters, the truth is that it was immediately seen as a punishment: a war tax dressed up as a civil tax. The coercive measures used to collect the poll tax included requisition and imprisonment. The amount stipulated to be collected –one million Castilian pesos– was disproportionate. Castile believed that Catalonia was still the prosperous land it had been before the war, and did not take into account the effects of the conflict on the population. As a result, the amount set to be paid under the ‘catastro’ never corresponded to the real income of society as a whole. Nor did it take into account, for example, that a poor harvest might make it impossible to pay. As a result, there were years when the tax burden applied to Catalonia was so brutal that the Spanish collectors themselves recommended that it should be reduced. The ‘catastro’ poll tax became consolidated over the period from 1726 to 1744, parallel to the introduction of the new political regime brought in by Philip V. The amounts payable remained practically frozen, however, and eventually became out of date. The result was that, by the second half of the 18th century, when population and economic growth in Catalonia had made the relentless fiscal pressure more bearable, there was no longer any opposition to the tax. However, nothing could compensate for the drain on the country’s resources that had taken place over previous decades. In fifty years (1729-1779), indirect taxation rose by 248% in Catalonia, and total taxation, including the catastro, by 150%. In 1845, tax reforms were introduced, and the ‘catastro’ was abolished. However, perceptions of Catalonia’s supposed lack of fiscal solidarity continued to abound in Castile, as the country had achieved considerable development through expansion of trade and industry. As a result of these perceptions, Catalonia continued to pay the price for the defeat of 1714 in other ways. 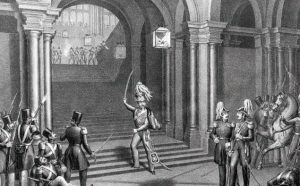 In 1814, at the end of the Peninsular War (known in Spain as the “War of Independence”), which was followed by the restoration of the absolute monarch under King Ferdinand VII, the Spanish economy was in ruins. Lack of capital and the general misery severely restricted the country’s purchasing power. Spain could find few markets in which to place its wares, a problem intensified by the fact that its American colonies, invaded by the English and French, had rebelled in order to become independent. Despite all this, in 1830, Catalonia, with a population of 1,200,000 and average income of 225 reales per inhabitant, was the fourth most powerful trading power in the world. 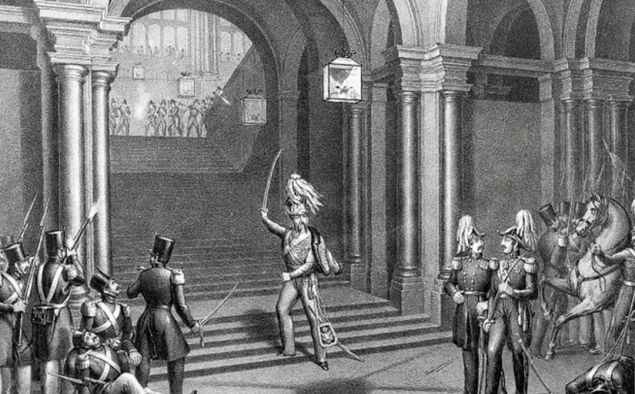 After the death of Ferdinand VII in 1833, the first Carlist War (1833-1840) broke out in Spain between the defenders of absolutism on the one hand and liberalism on the other. In 1835, a revolutionary process aimed at accelerating reforms to dismantle the old order, including the tax system, was unleashed. 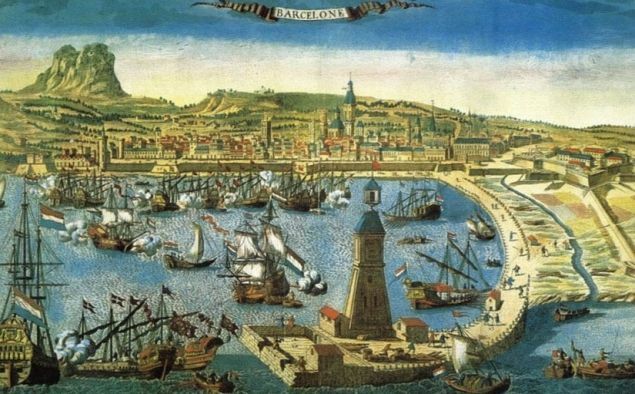 During this process, the Barcelona bourgeoisie called for the abolition of accumulated taxes, since the result of adding modern and medieval taxes together resulted in a figure that represented two-thirds of overall production. Reform to this end was not introduced until 1845. With liberalism installed in power, a struggle between two economic movements became clear. These were, one the one hand, protectionism, whose supporters wanted restrictions on imports, and, on the other, the free trade movement, which opposed state intervention in international trade. Catalan industrialists were, in general, in favour of protectionism. However, the centralist policies of General Baldomero Espartero, appointed regent until Queen Isabella II came of age, entailed opening up Spanish borders to British products, direct competitors to those made in Catalonia. The Catalan cotton industry was the sector most seriously threatened and, in November 1842, the bourgeoisie and workers in Barcelona rebelled against Espartero, who responded by bombing the city. This violent reaction had the effect of increasing opposition throughout the State to Espartero, who resigned and fled to Great Britain the following year. In the mid-19th century, the debate between protectionists and free traders began to affect relations between Catalonia and Spain and the cliché of Catalan lack of solidarity raised its head once more. The pro-free-trade Madrid press attacked industrialists, mostly located in Catalonia, and the story spread that Catalonia was becoming rich by exporting its manufactured products to the other Spanish provinces, which were becoming poorer and poorer. However, the Catalan industrialist and economist Joan Güell spoke out against this, in 1853 refuting the argument by providing customs figures which showed that Catalonia’s balance of trade with Spain was never favourable to the former. It was possible to quantify the ill-feeling that divided the industrial bourgeoisie from the government. Figures on industrial and trade taxes for the 1888-1890 period show that each Catalan paid 4.78 pesetas, more than double the average for Spain, which stood at 2.08 pesetas per person. According to another statistic, devoted to foreign trade, the Catalans handed over five times more than the rest of the population in taxes to the State. In short, Catalonia paid over 8.8 million pesetas per year in taxes, whilst the rest of the State combined contributed 32.7 million. And this, at a time when the Principality had a population of 1.8 million compared to the 17.5 million inhabitants of Spain as a whole. Consequently, whilst accounting for 10% of total Spanish population, Catalonia contributed 27% of total taxes. The tax burden on the country was disproportionate in the extreme. The loss of Spain’s last remaining colonies in 1898 led to a complete breakdown in relations between the bourgeoisie and the system. This situation worsened in 1899. The previous year’s defeat had resulted in a deficit, which the government sought to balance by raising taxes. The response by the guilds of Barcelona was to close commercial and industrial establishments so as to avoid paying tax without breaking the law. The consequences of this unusual strike, which spread to many medium-sized towns in Catalonia, was the suspension of constitutional guarantees, embargoes and arrests of taxpayers and the resignation of the mayor of Barcelona, who disobeyed orders from Madrid by refusing to embargo the assets of those who refused to pay. The century ended in this heated atmosphere. According to the official figures for 1900, Barcelona province paid a tax bill that was as high as the whole of Andalucía, more than Old Castile, Aragón and Valencia together, and almost as much as New Castile (including Madrid), Galicia, León, Extremadura and Murcia, combined. The Catalan province contributed 174 million pesetas to the State, whilst Madrid paid less than 143 million. Barcelona paid even more than Cuba had when a Spanish colony, and complained about being forced to pay 24 million pesos, which were then distributed on the island itself. In investment, too, the contrast was shocking. Public works were practically non-existent in Catalonia, whilst one-third of the State General Budget remained in Madrid. Just the one hundred million pesetas invested in the Lozoya Canal, which brought water to the Spanish capital, a project that had begun in 1851 and was still unfinished, was more than was spent on works in Catalonia in the whole century. In the early-20th century, Catalonia, Spain’s industrial driving force, embodied an incredible paradox: the country did not possess even the minimum infrastructure proportionate to its contribution to the public purse. The Catalan press of the time denounced this discrepancy whilst also highlighting another disturbing fact: the gap was not only financial, but also human, as Catalonia provided 900 more recruits to the armed forces than would correspond to it according to population. This discrimination is explained by documents from the time in which State bodies suggested that the “right of conquest” over Catalonia permitted them to act as they did. The ‘Mancomunitat’, or association of municipalities of Catalonia (1914-25), the first self-governing body since 1714, alleviated the deficit with the State by using resources from the provincial governments of Barcelona, Girona, Lleida and Tarragona, as the Spanish government refused to devolve powers over tax collection. Consequently, the State continued to levy 250 million pesetas every year in Catalonia, returning just 19.1 million in investment in public works, education, health and agriculture. After General Miguel Primo de Rivera abolished the Mancomunitat, the tax deficit continued to exist. In 1926, Catalonia, by no means the largest or most-populated region in the State, contributed nearly one-third (30%) of all the taxes paid in Spain. The restoration of the Generalitat, or Catalan government, during the Second Republic (1931) did not bring about an immediate improvement in the issue of financing. Spain’s slow-footedness in devolving powers to the Catalan government caused absurd situations, such as that concerning public works. The decision to devolve powers to the Generalitat in this area was made in 1931, but did not enter into effect until 1935, though this detail did not prevent the State from leaving Catalonia out of its public works plans, as it considered the Generalitat responsible, even if only nominally, in this area. Overall public investment in Catalonia amounted to less than one-third of the total taxes collected by the State from the Catalan people. During the Civil War, the exceptional situation led to exceptional initiatives. Due to the circumstances of the war, the Generalitat was required to take over the functions of the Republican government in Catalonia. In January 1937, despite central government opposition to Catalan autonomous economic management, the Generalitat restructured financial relations between the two under a new fiscal system. Taxes intended to provide sources of income for the Catalan Treasury and whose purpose was to help sustain the war effort were established, amended or restored. Nevertheless, the course of the war led a decrease in tax revenues, and the Generalitat accumulated a huge deficit. The Franco regime installed an autarchic system, with strict rationing and restrictions on foreign exchanges, in which the State was to produce all necessary goods. The new authorities demonstrated their clear intention to make economic recovery in Catalonia as difficult as possible. The headquarters of Catalan companies were transferred to Madrid, and Spanish banks absorbed the country’s financial institutions, with the result that Catalan banks represented just 3% of the Spanish banking system in the mid-1950s. The defeat of the Nazis led to stagnation in the Spanish economy. There was a shortage of energy and raw materials. The Catalan industrial and commercial bourgeoisie was content merely to keep their businesses going despite State interventionism. The State did not always get its own way, however. The dictatorship, which wanted Catalonia to specialise in textiles, was forced to bow to the FIAT automobile manufacturer’s desire to install the SEAT factory in Barcelona due to its port and the local qualified workforce, increasing the weight of the iron and steel industry in Catalonia. As usual, fiscal pressure was kept up. In 1951, the State invested 28% of the taxes it collected in Barcelona province in the province itself; that is to say, a fiscal deficit of 72%. In the 1950s, incapable of raising living standards amongst the people, the autarchic model entered into crisis and was forced to evolve towards a greater liberalisation of the economic system. But nothing changed in Catalonia. In 1956, State income from Barcelona province was 5,551,154,212 pesetas, whilst spending was 1,179,668,992 pesetas. In other words, just 21% of revenue, a 79% deficit. The population and economic growth which followed in the 1960s brought no improvements to the services that should exist in a country that acts as the driving force for an entire State. In 1975, the deficit in public education in Barcelona Metropolitan Area was 58% as regards places in basic and pre-school education whilst, in health care, there were six hospital beds per thousand inhabitants in the capital, when the WHO recommended ten beds per thousand. 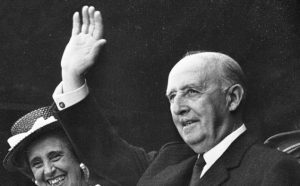 The dismantling of the dictatorship following the death of Franco, the restoration of democracy and the re-establishment of the Generalitat presented an opportunity to correct old vices. During the process of drafting the Catalan Statute of Autonomy in 1978, the possibility was considered of establishing a financing system based not on what the central administration should transfer to the autonomous government but on what Catalonia should transfer to the central government. The idea was to give the country complete freedom to decide how to use much of its money whilst also ensuring solidarity with less developed areas of the State. The Spanish government, presided over by Adolfo Suarez, rejected this proposal, now known as the fiscal pact, and economic issues were relegated to a secondary position since, in those times, there was more interest in securing devolution of powers in such areas as language and education, considered vital providing a firm structure for the country. In 1994, Catalonia paid around 20% more than the Spanish average and received 17% less than that same average. Despite this, the country continues to be accused of a lack of solidarity, and these accusations are not contested outside Catalonia because conserving this image reaps political and economic benefits for Spanish political parties and State structures. What is most ironic is that Catalonia leads the autonomic process: in a curious exercise of imitation, if the country achieves powers in a particular area, the other autonomous communities also demand its devolution from the State. Perhaps this explains why Madrid refuses to talk about reforming system under which Catalonia is financed: the task threatens to be long and arduous, and there is little desire to redress injustices. Originally published by Sàpiens Publicacions under an open-access license for educational, non-commercial purposes. This entry was posted in Catalonia, Early Modern, History, Spain. Bookmark the permalink.